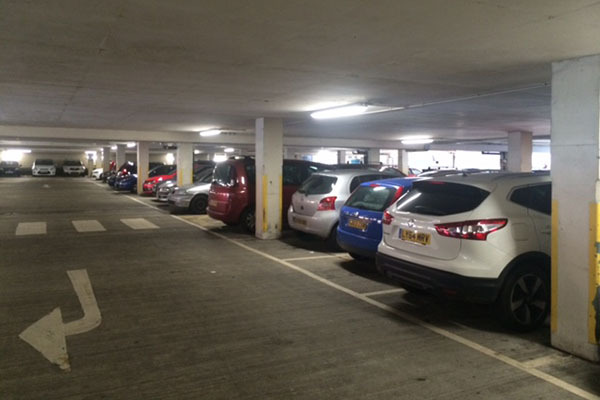 The underground car park of the shopping centre was lit by Circular 2D Bulkheads (110watt CFL’s). Which were beginning to fail more frequently due to age and the high hours of operation (in excess of 18 hours a day) Lighting levels needed to be increased in addition to energy and maintenance savings. We recommended to the Client to install 1500mm Linear LED fittings, which are IP65 rated. These were installed on a like for like basis. Not only were the light levels increased but energy and maintenance costs were dramatically reduced.